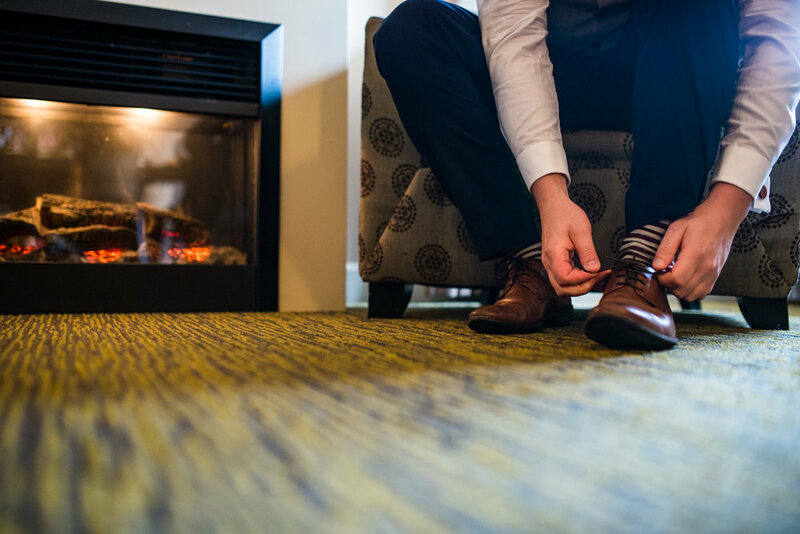 You probably recognize Kristina and Dan from their Golden Ears Park engagement photos in September! 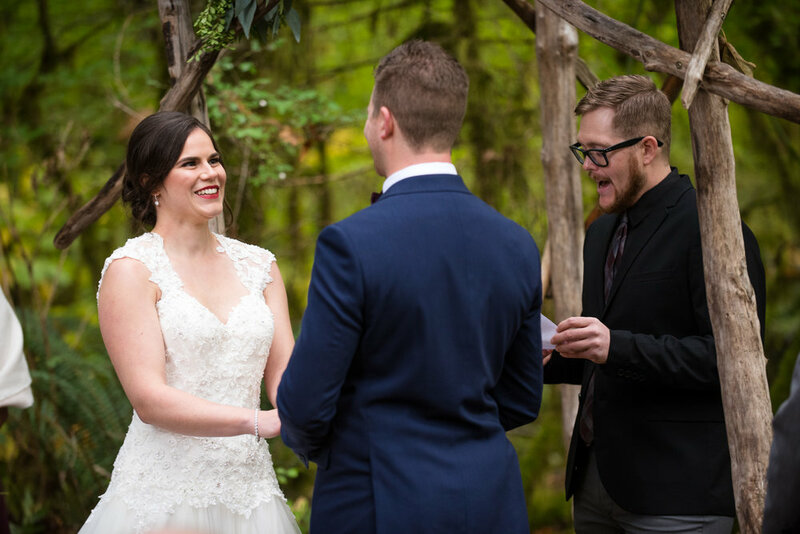 Well, last month we travelled to Squamish from Vancouver Island to photograph their amazing rainforest wedding at Cheakamus Centre. 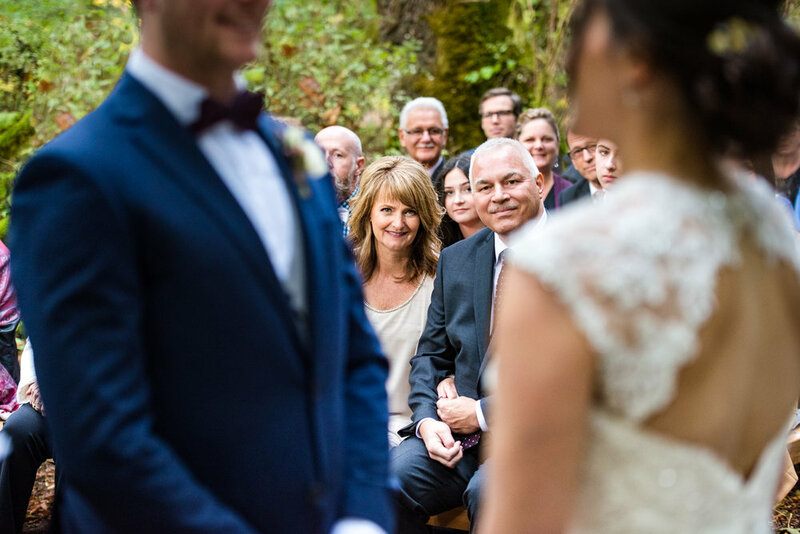 This was the first wedding we photographed at Cheakamus Centre since our own wedding, and we were so excited that it would be Kristina and Dan's wedding! A super adventurous couple in a rainforest surrounded by mountains?!?! Sign us up: it's obviously going to be an epic day! 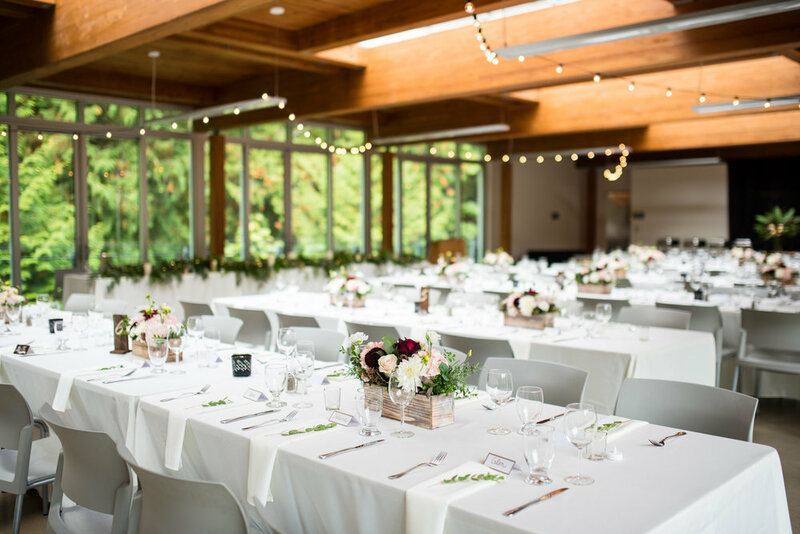 We kicked things off with a sweet first look at Cheakamus Centre, on gorgeous blue-green duck pond, with Dan and Kristina's bridal party peeking from a far. 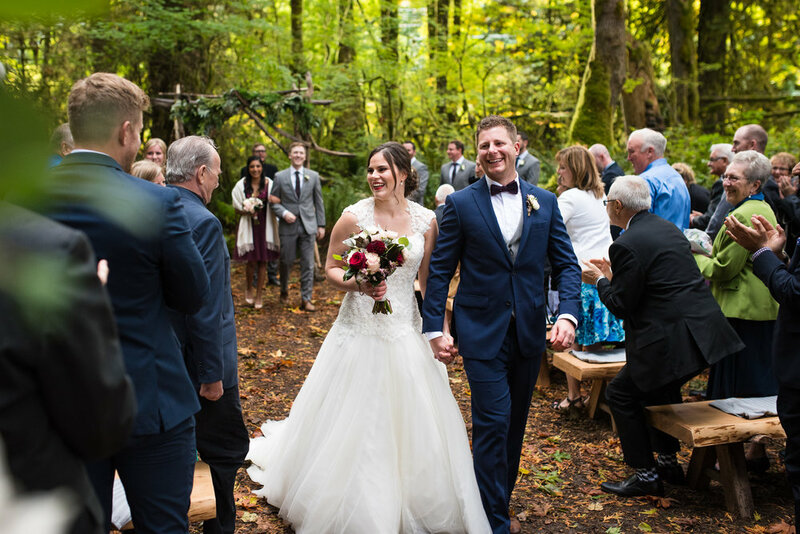 Their outdoor ceremony was tucked in an intimate forest grove surrounded by moss, towering trees, and turning leaves. 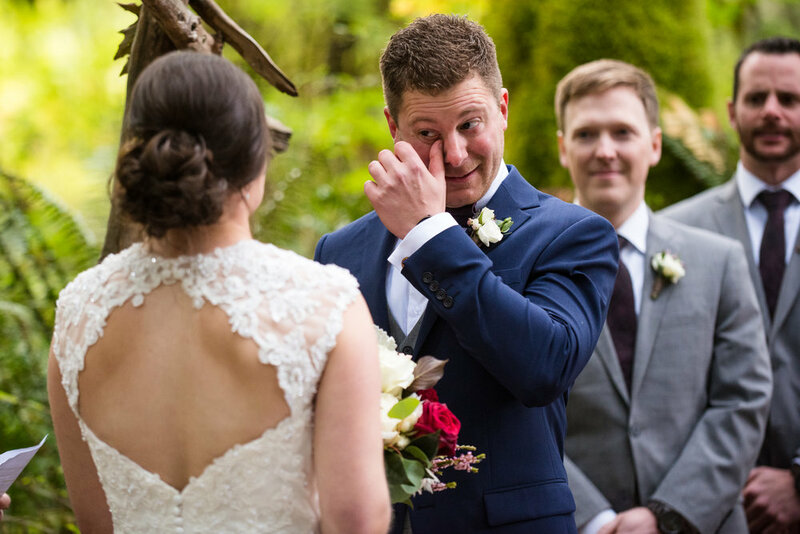 With their rings exchanged, and vows proclaimed, Kristina and Dan, their friends and family partied the night away with silly reception games, memorable speeches, photobooth antics, and dancefloor shindigging. 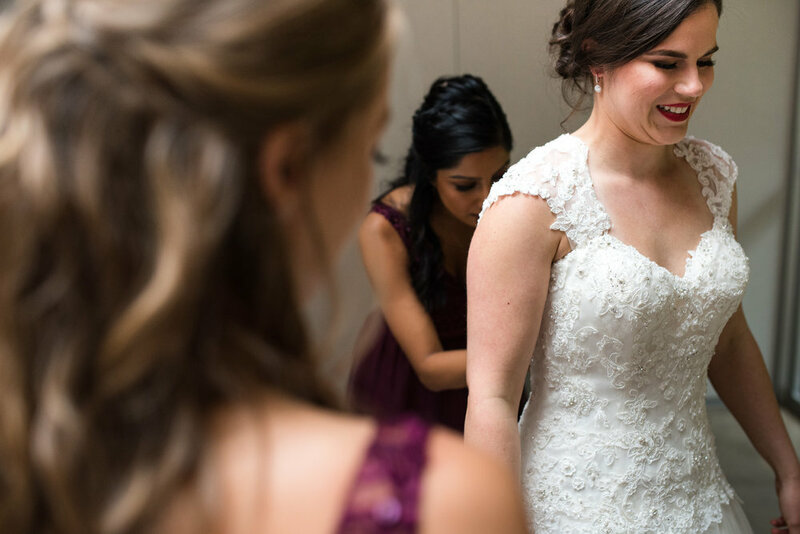 Thanks Krisitina and Dan for having us their to capture your wedding! 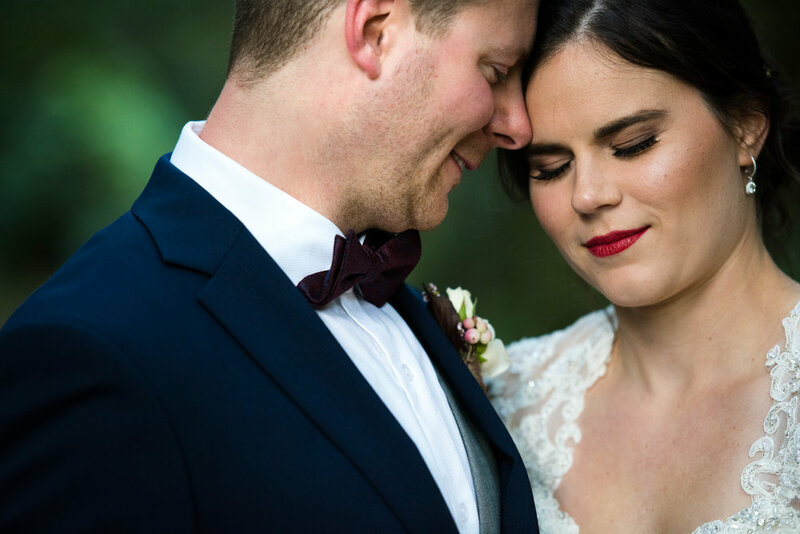 We hope you love the photos! 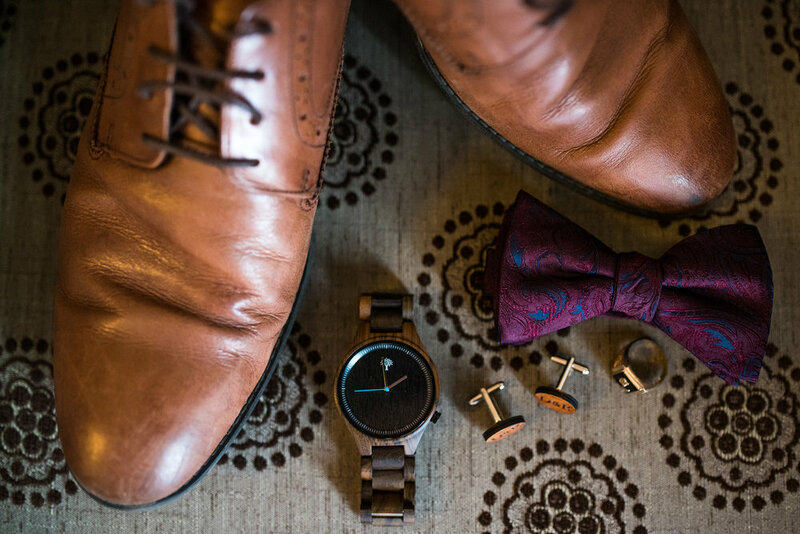 More Awesome Wedding and Engagements!